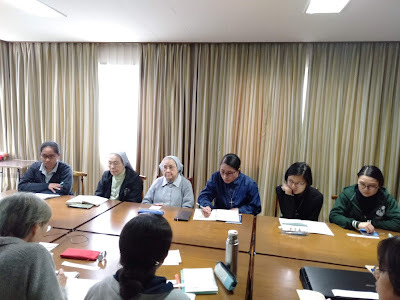 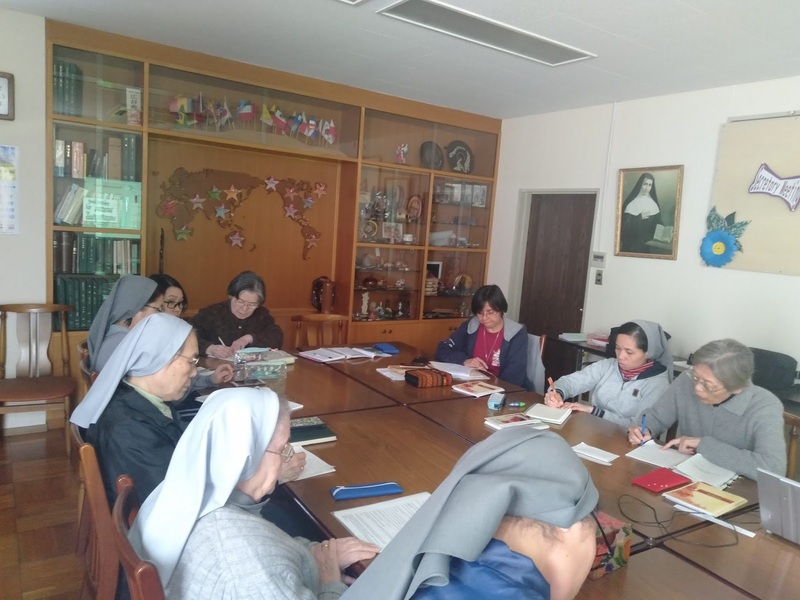 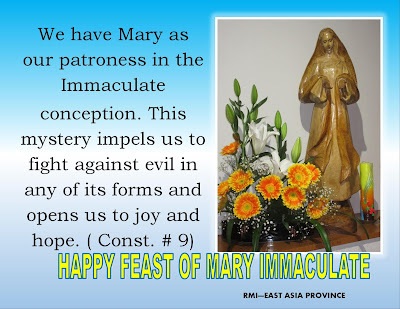 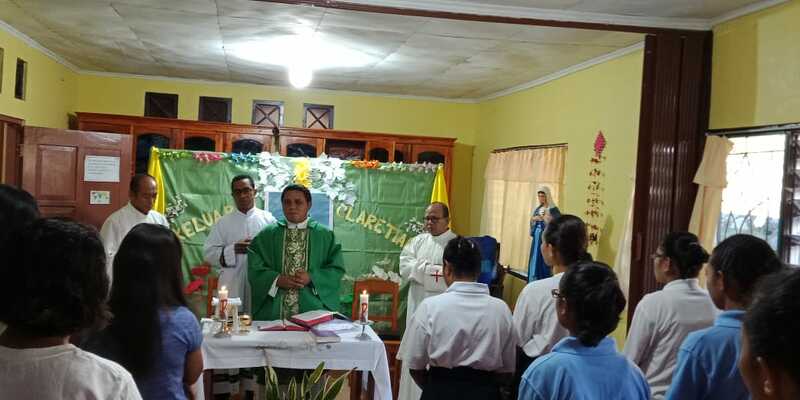 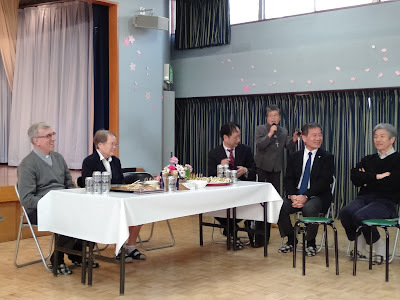 Last March 19 - April 4, 2019, our present general secretary "Madre Maria Dolores Salcedo" made her visitation to East Asia Province, mainly to Quezon City community, Takatsuki community and provincial curia. 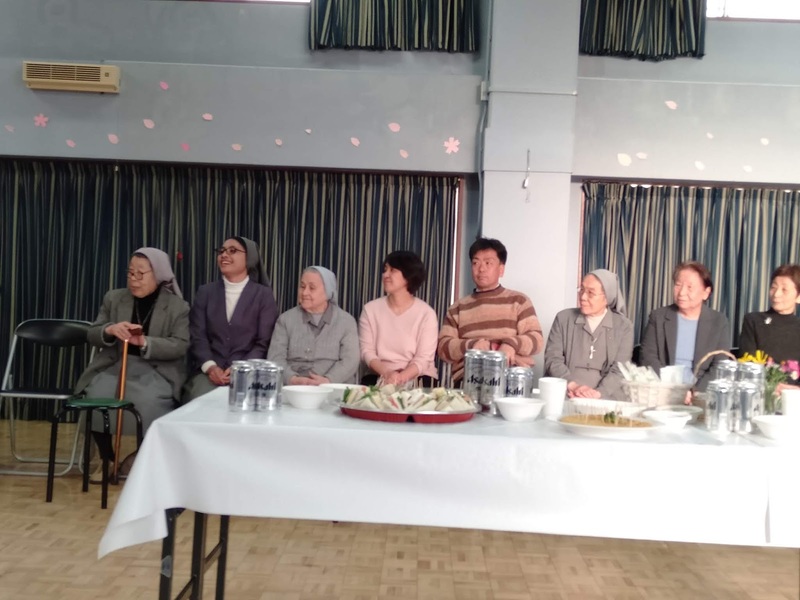 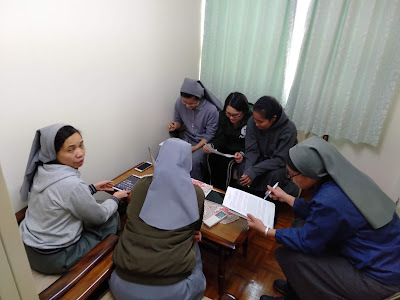 The objective of her visitation was to have close contact with the province and its reality, to have a formative secretariat meeting with the sisters. 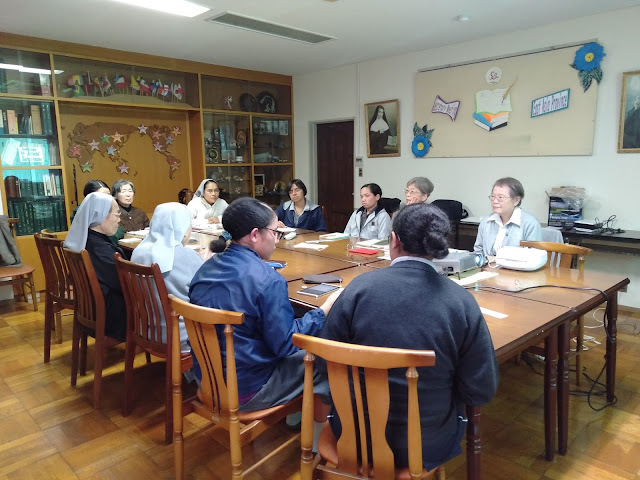 March 20 & 21, 2019, sharing with the formands in the novitiate on the theme "Being and mission of the secretary"
March 22-23, 2019 sharing with the professed sisters of Quezon City community and Lucia from Paju Community on the management of the archive. 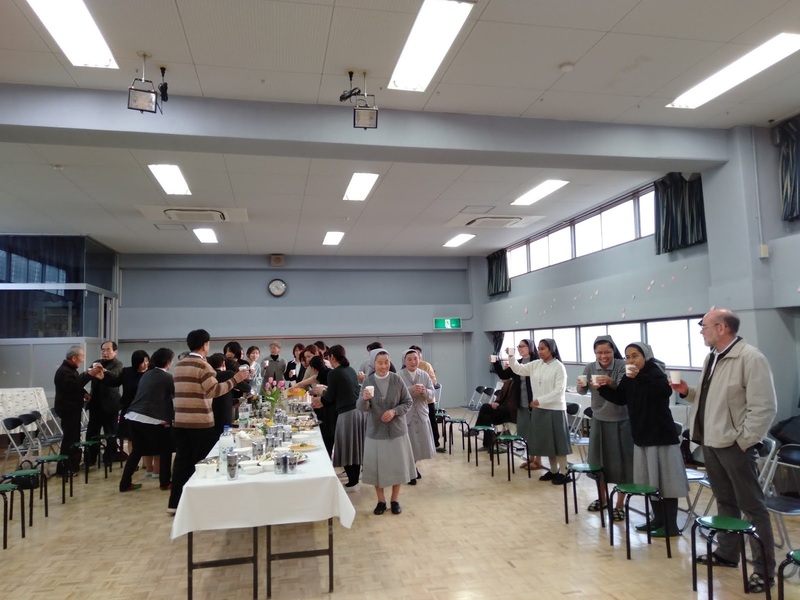 The same theme was also given to the juniors and the local secretaries of Takatsuki, Ichihara, and Kurashiki which was taken place in Takatsuki on March 26 - 30, 2019. 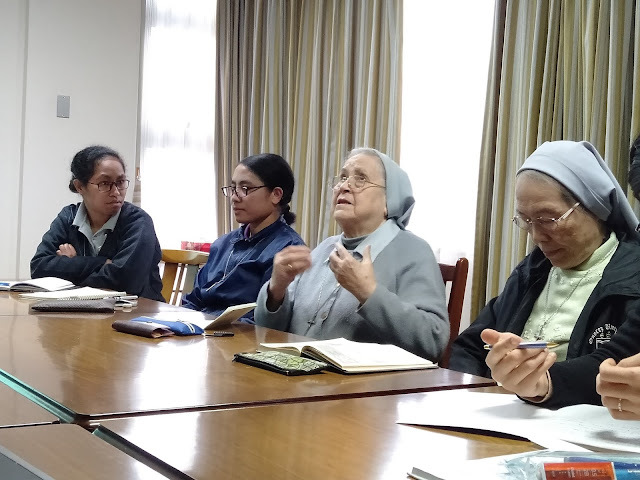 There was a moment to study the history of the province as we listen to the sharing of Madre Delfina Llamas, the oldest sister in East Asia province who had the experience to be the provincial and provincial secretary for several terms before. A small group of juniors studying the art of taking minutes during the meeting. 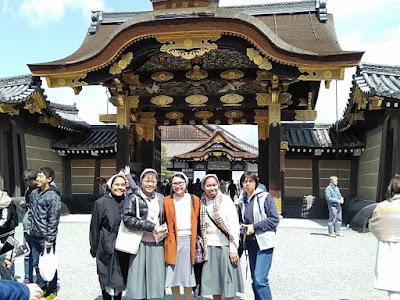 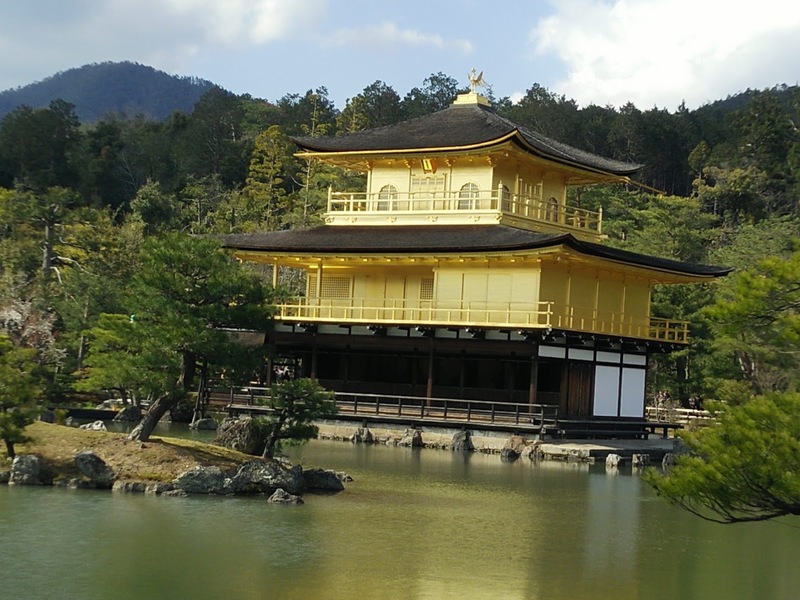 On April 3,2019 towards the end of her visit to Takatsuki, we had the opportunity to visit two important cultural heritage of Japan which are located in Kyoto. 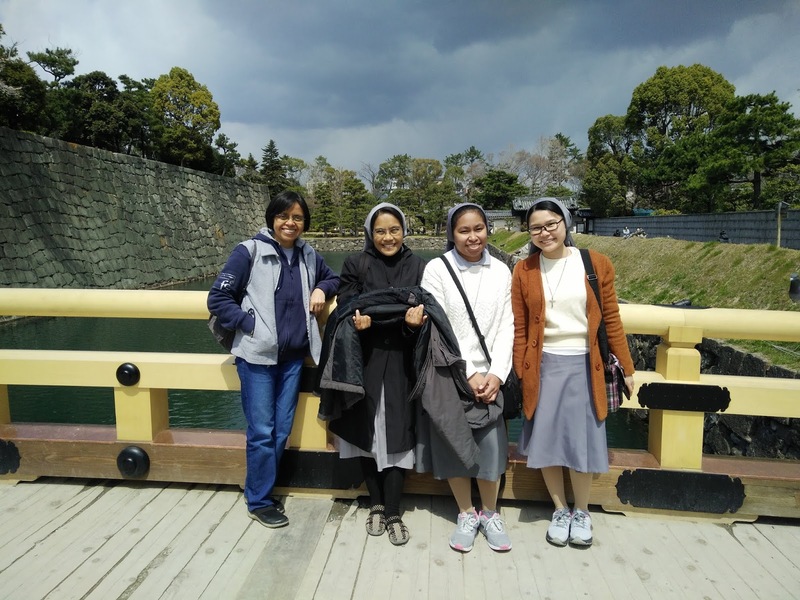 A visit to Nijo-jo Castle - a castle that has kept watch over the vicissitudes of the Tokugawa family and changes in Japanese history. 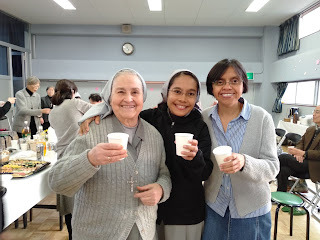 Thank you very much, Madre Dolores, for your presence and sharing during those days of visitation. 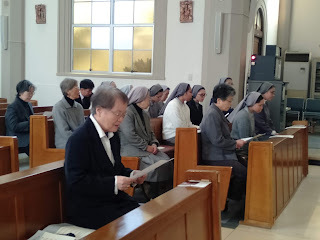 Today, 51 years ago, Madre Asunta Hori, RMI made her first religious profession in the congregation of Religious of Mary Immaculate Claretian Missionary sisters. 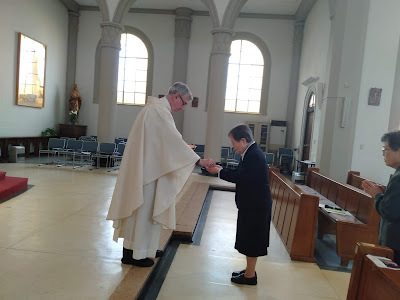 She has been called by the Lord to follow in His footsteps. 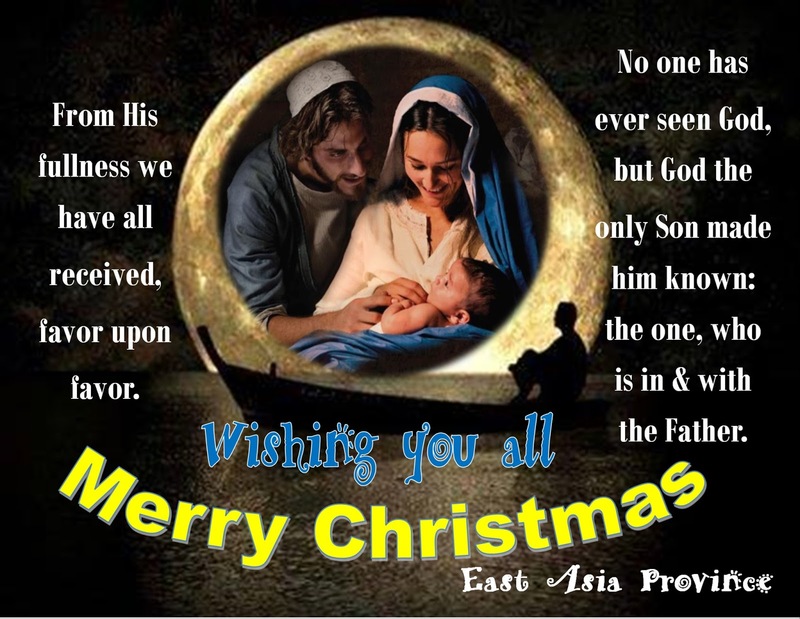 His love has been fruitful in her journey. 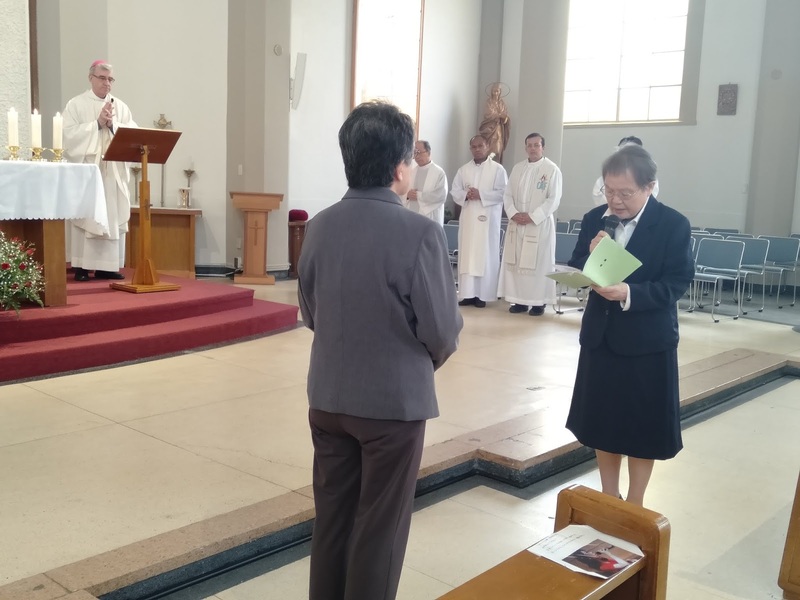 Hence She is blessed to live her commitment for these 51 years of grace, blessings, commitment, fidelity, love, hope and service to the Lord and the congregation. 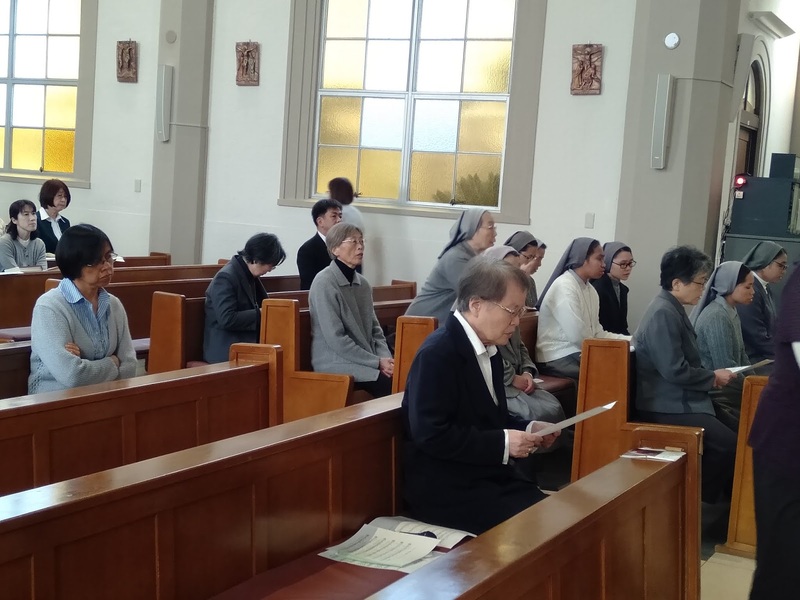 As a sign of gratitude for this precious gift of religious vocation and the gift of Madre Asunta herself to the congregation and its mission, the community of Takatsuki organizes a simple celebration to mark her jubilee of the religious profession with a Eucharistic celebration and meaningful agape with our lay collaborators and some parishioners. 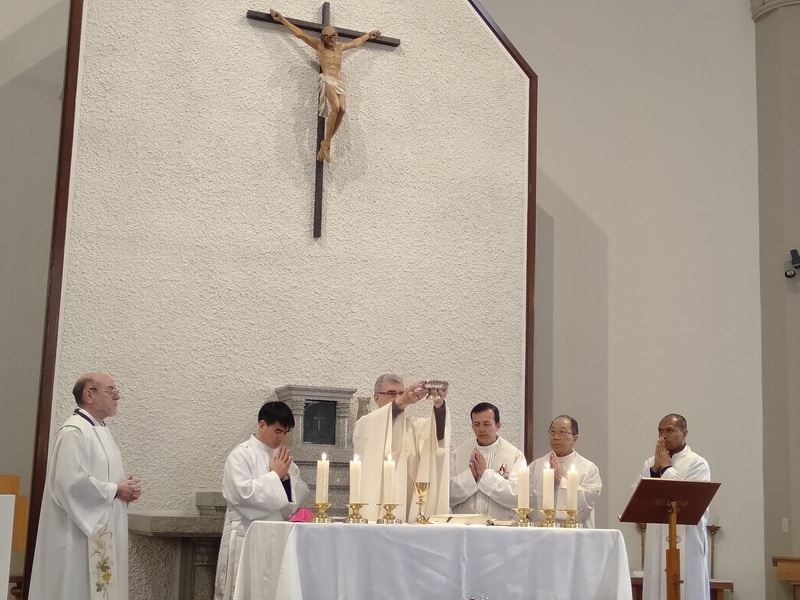 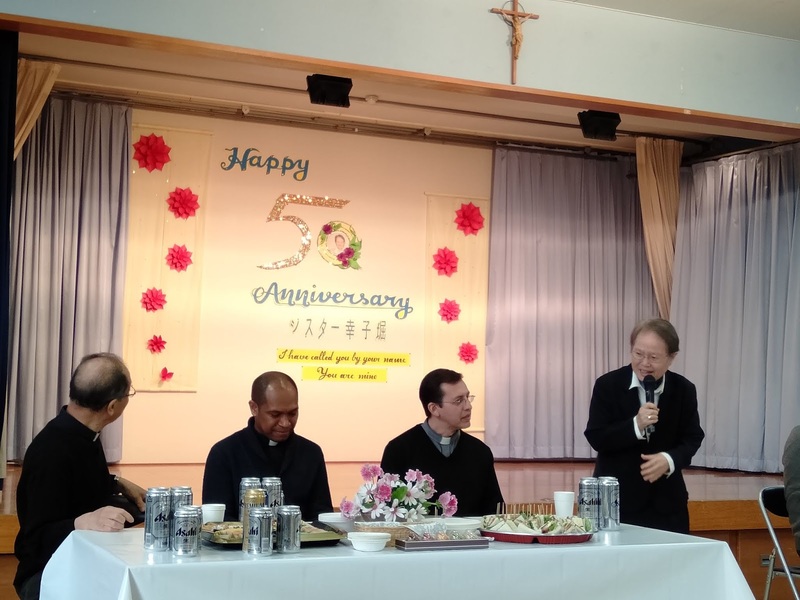 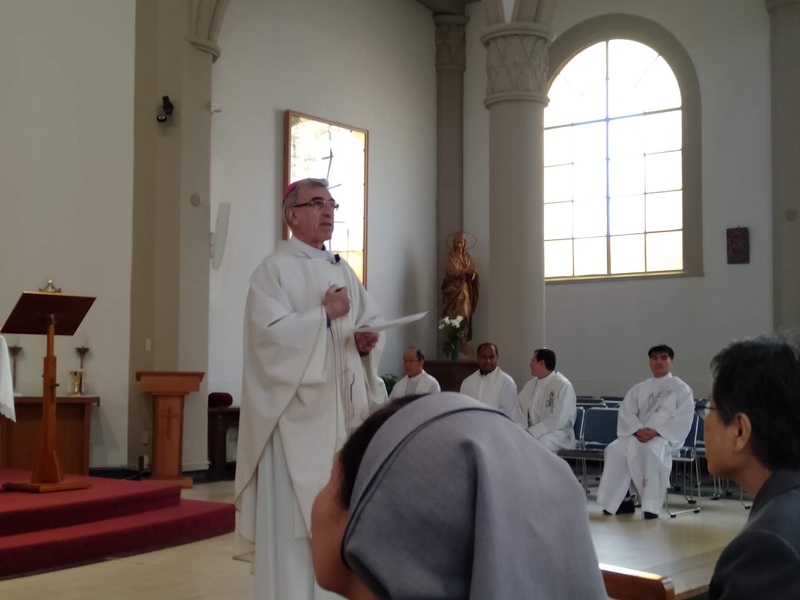 His Excellency Bishop Abella, CMF - The bishop of Osaka presides over the thanksgiving mass for the 51st anniversary of Madre Asunta's religious profession. With him are four other priests and one deacon. Once again Madre Asunta renews her commitment to the Lord in the hands of Madre Francisca Wakabayashi, RMI - Vicar of East Asia Province. Madre Maria Dolores Salcedo - our present general secretary is with us in this celebration. 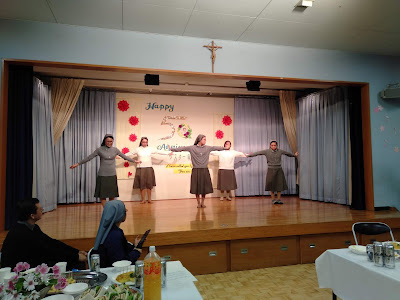 Our junior sisters from Takatsuki community render an interpretative dance during the agape of celebration. 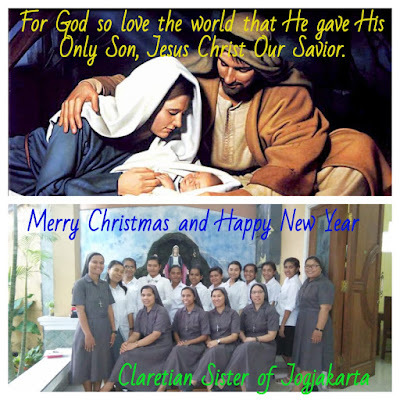 Thank you, dear Lord, for the gift of Claretian vocation You have bestowed upon Madre Asunta. 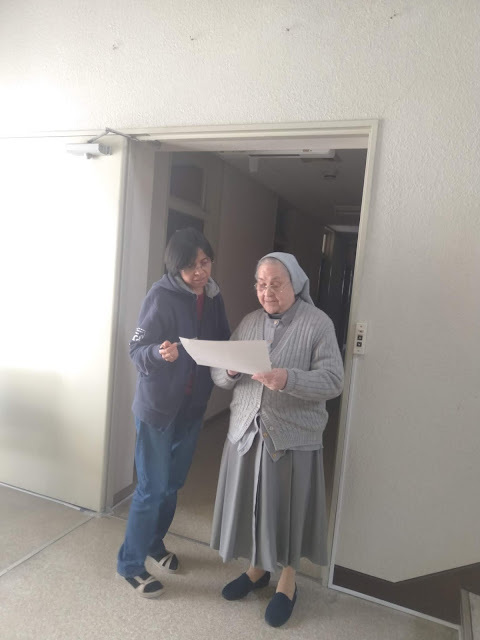 May You continue to journey with her for the rest of her life. On October 25 to 26 we had our gathering. 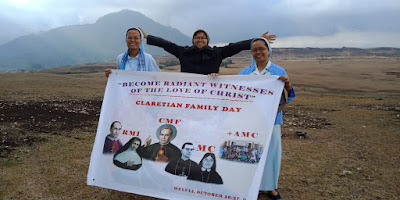 The participants were the Cmf , RMI, MC + AMC ( claretian youth ). 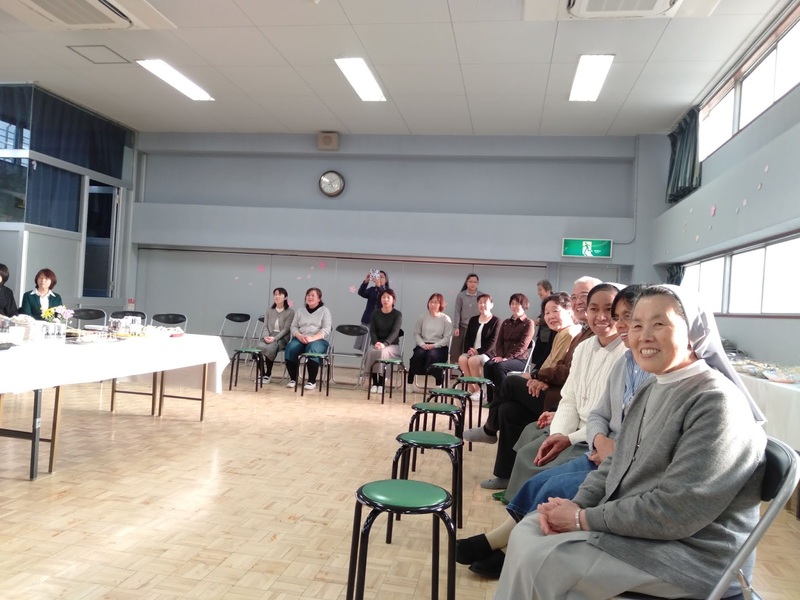 Among the delegate.present with us was no other than the Delegate Superior of East Timor - Indonesia. 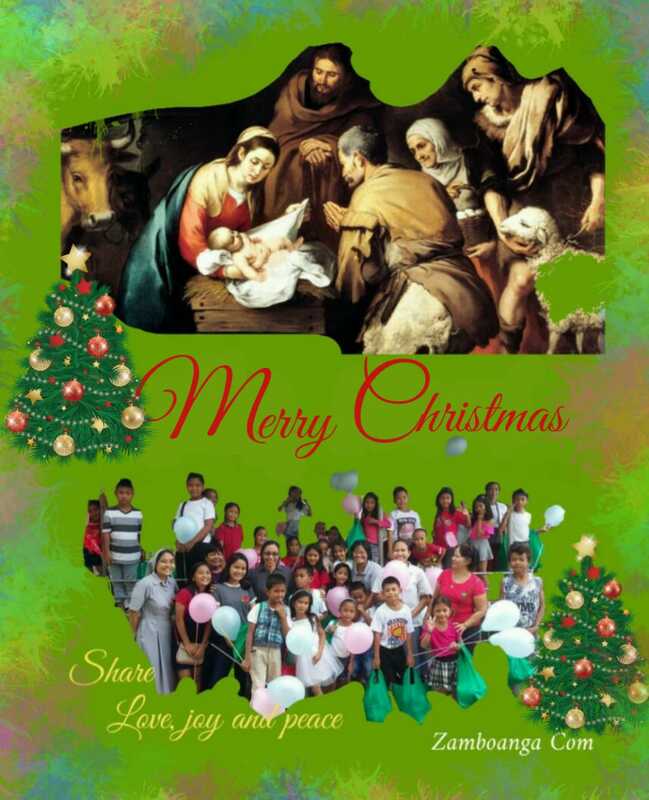 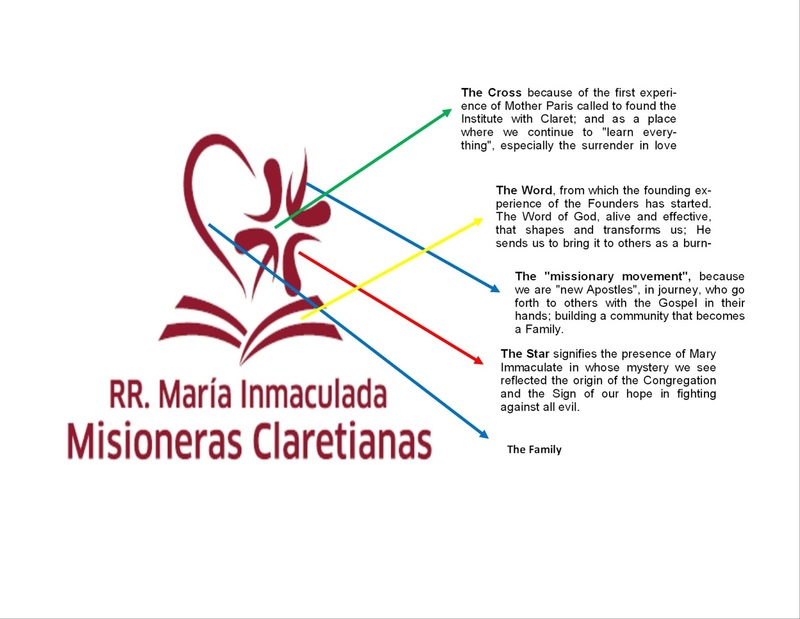 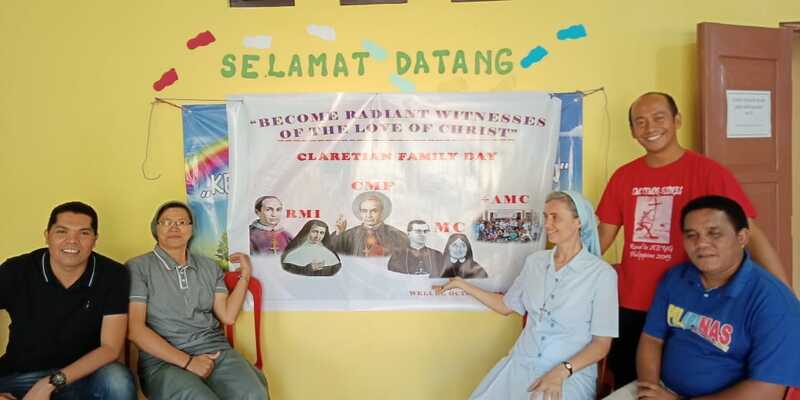 The two- day gathering was made possible the approval of Claretian Family Logo, the core values (C-care F- form D -Develope), the General theme ” BECOMING RADIANT WITNESSES OF THE LOVE OF GOD " . 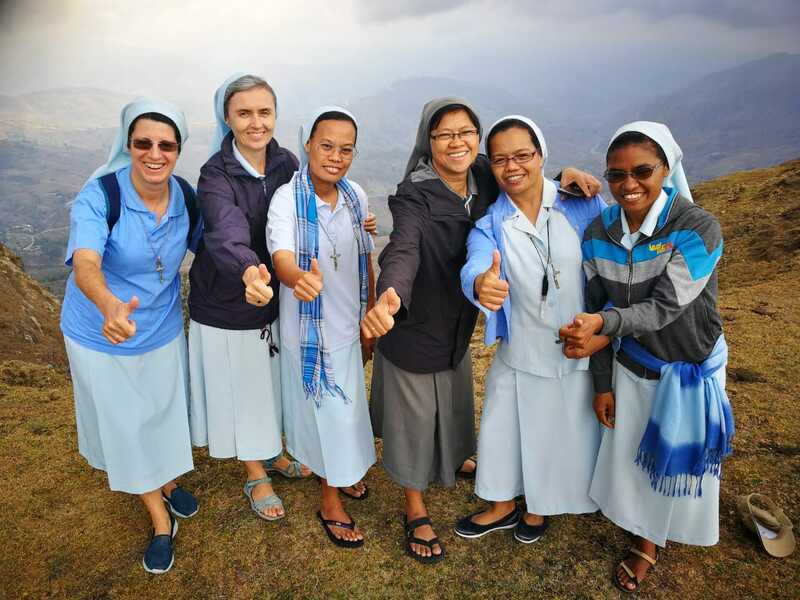 The updates on the upcoming AEYG +CF to be held in Dili and the members of the committee and to solicit suggestions. More than what we had planned was our joy and strength to be together. 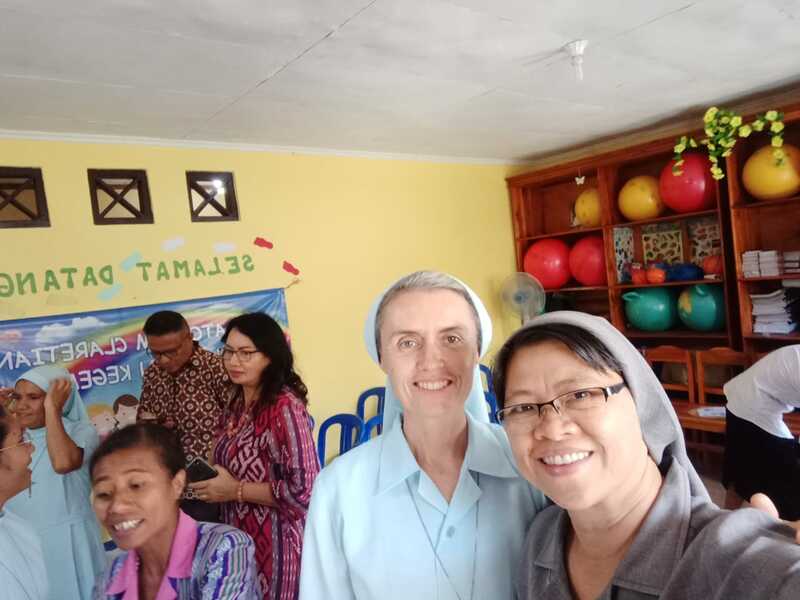 we listen to each other’s life and mission experiences and in a special way we got in touched with the life and mission of the Missionary sisters of St. Anthony Claret in Weluli. 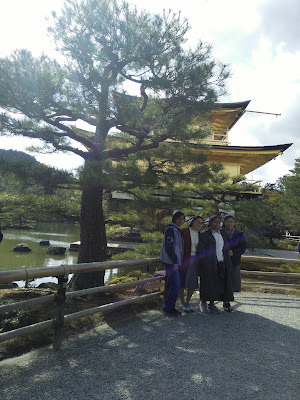 We took time to go for an excursion up the hill there we breath in fresh air and enjoy tremendously the panorama. The Holy Rosary was prayed on top of the hill and end with words of gratitude from the chairperson fr. Seles CMF. 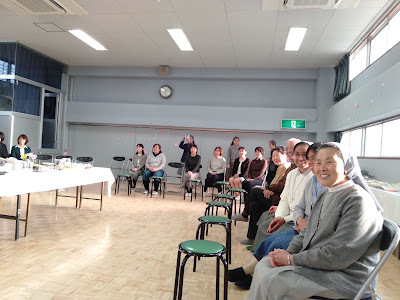 After dinner we had our solidarity night. 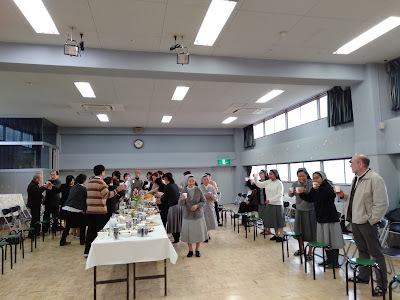 The 27th, we are gathered to join in the thanksgiving celebration of Sr. Joana, MC on her 25th silver jubilee in Religious life and the renewal of vows of a junior. 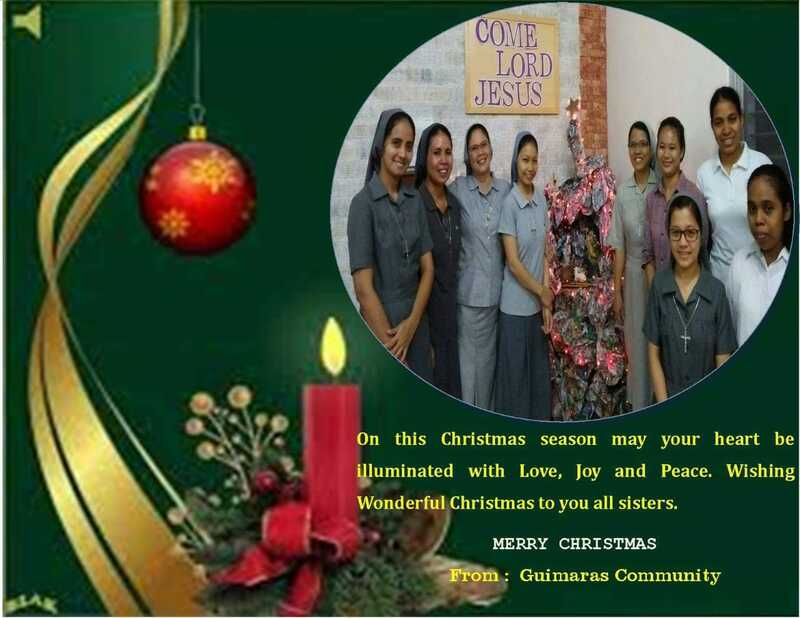 We thank God for his great Love lavishly bestowed upon sr. Joana for her faithfulness and dedication. 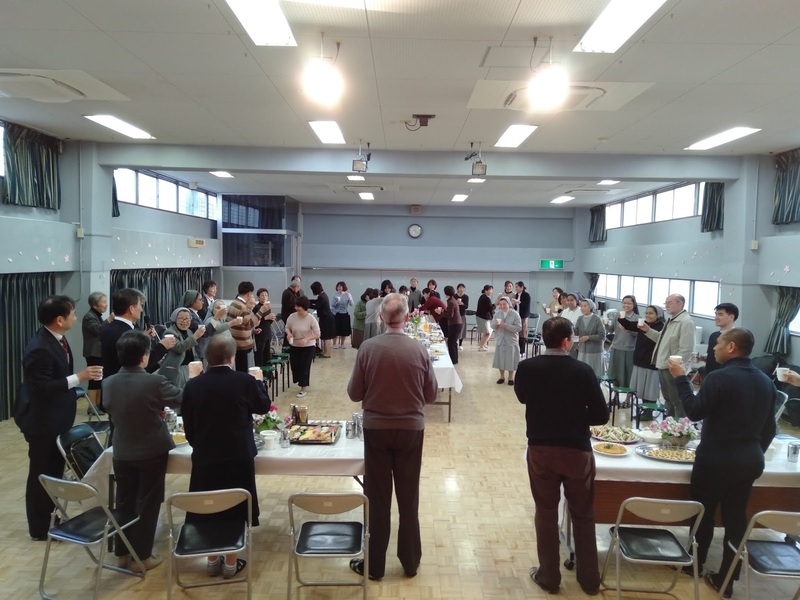 Lunch was served, and short presentation followed. 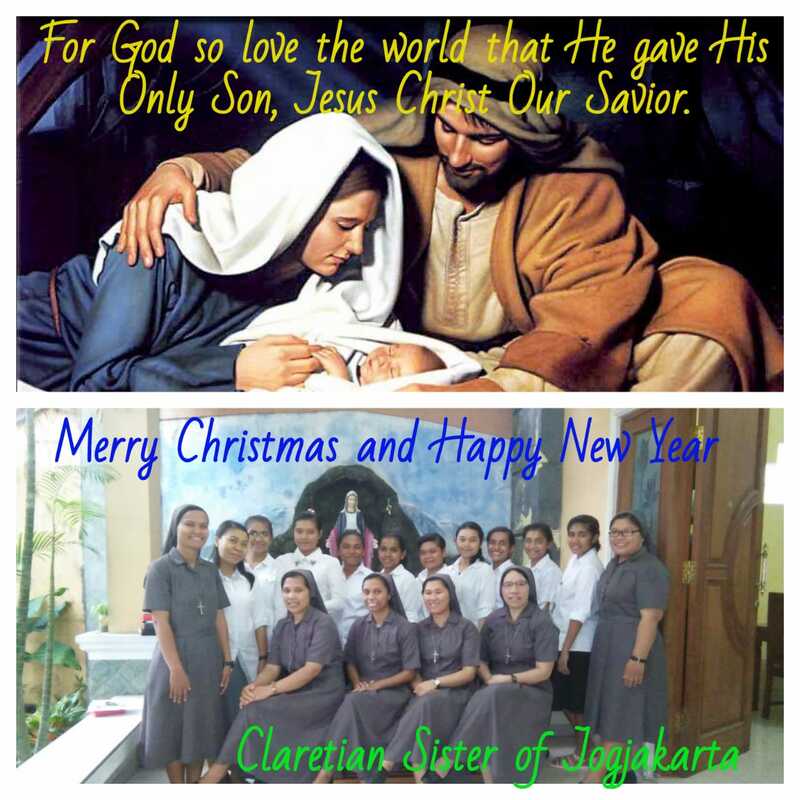 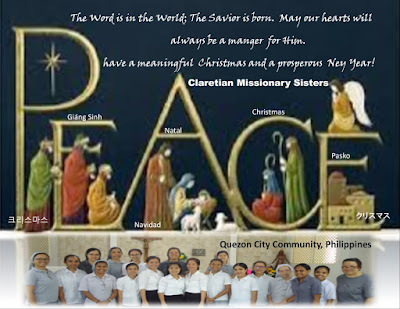 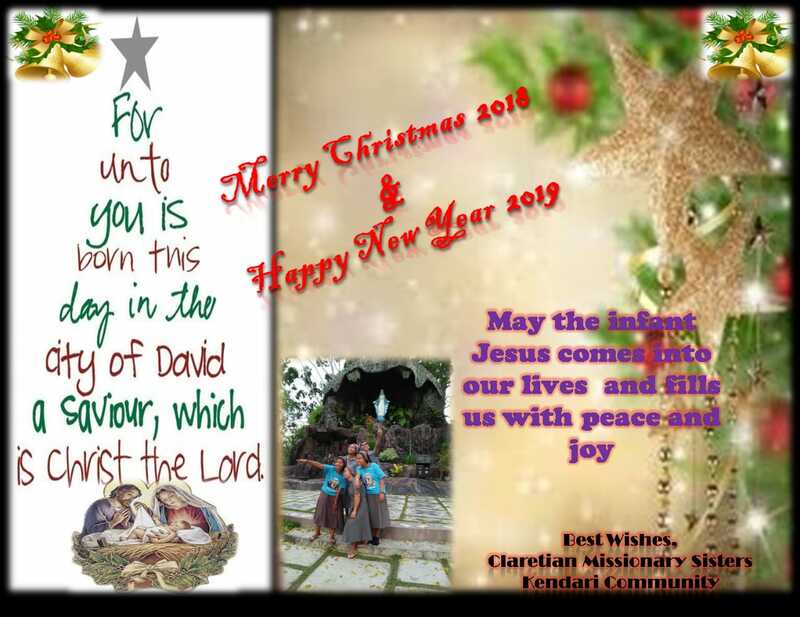 Thank your Lord for our Claretian Missionary Vocation. 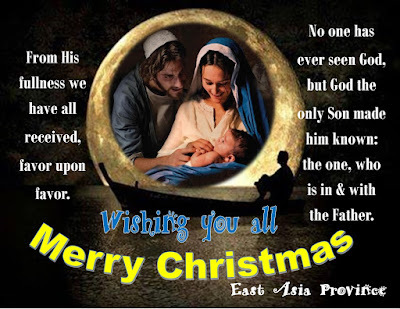 May we indeed Radiant witnesses Of God's Love.